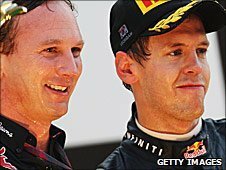 Red Bull Racing expects a much stronger challenge from its rivals next year, with team principal Christian Horner thinking their back-to-back title success will have "upset" the opposition. The accident which killed British racing driver Dan Wheldon has revived discussion about the possible use of canopies to make the drivers safer in the cockpit from flying wheels or debris. India's Karun Chandhok must wait for Team Lotus to make or break his dream of racing in his country's inaugural Formula One Grand Prix next week. Team principals must decide for themselves if the Formula 1 Teams' Association (Fota) has a future, reckons its chairman Martin Whitmarsh, amid questions about its long-term viability.